Product measurements were taken using size 85 (34" Waist). Please note that measurements may vary by size. 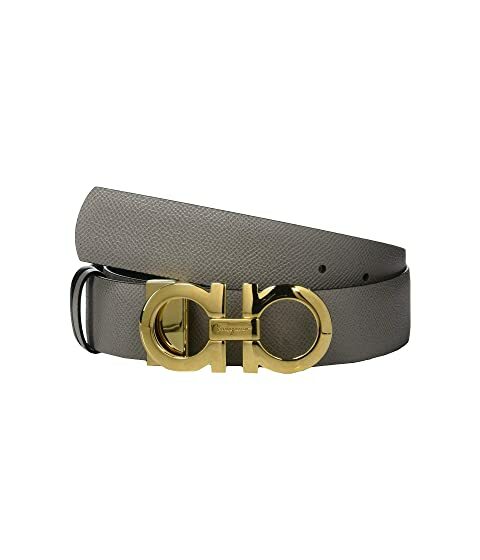 We can't currently find any similar items for the Gancini Logo Belt by Salvatore Ferragamo. Sorry! I really wanted this belt in black but settled for the Grey when I ordered it. What a nice surprise when I received the belt I noticed it was reversible to black. I'm very happy and satisfied with my purchase.